Newly acquired Yankee J.A. Happ is headed to the 10-day disabled list. The news comes just two days after the 35-year-old was reported to have contracted a “mild” case of hand, foot and mouth disease. Luis Cessa was called up Wednesday evening, along with Luke Voit, and will get the start in Happ’s place Saturday in Boston. The move is retroactive so Happ should (hopefully) only miss one start. 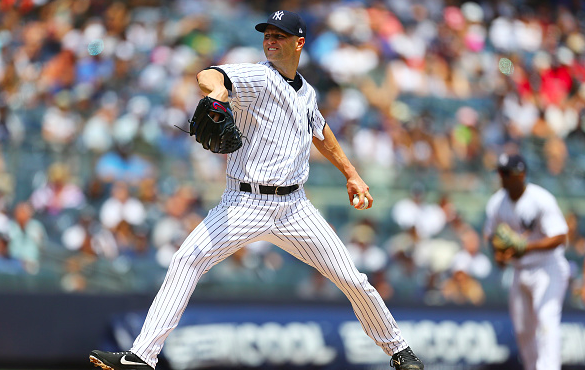 Happ managed just one start for the Yanks after being acquired from Toronto at the deadline. He allowed just one run and three hits in six strong innings against the Royals on July 29. Cessa is 1-2 with a 3.10 ERA in seven appearances (three starts) this season for the Bombers.